Stackable rings have gained popularity due to their versatility, affordability, and beauty. 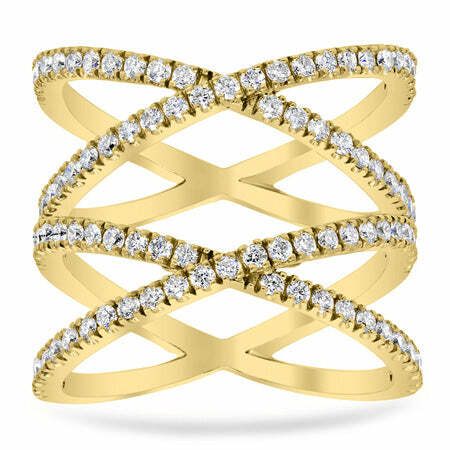 Our designers recently expanded our stackable ring collection to contain the following designs. These rings are inexpensive and can be given to a loved one as an anniversary gift, birthday present, or simply to commemorate another special occasion. Each of these rings can be worn alone, but they truly shine when they are stacked with additional rings to create a unique look. 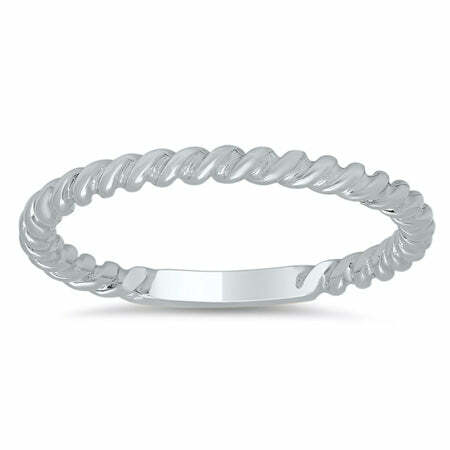 This ring does not feature any stones, but it is a favorite for our customers to add to their ring stack. 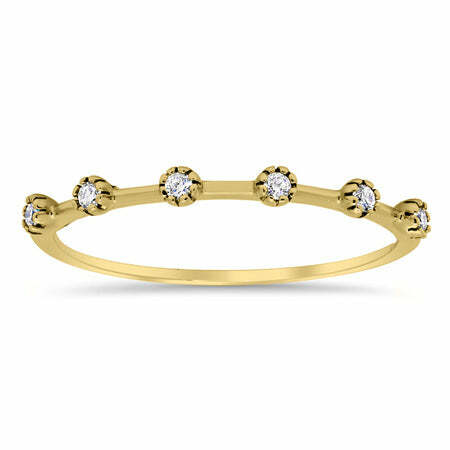 This ring comes in 14 kt white, yellow, or rose gold. 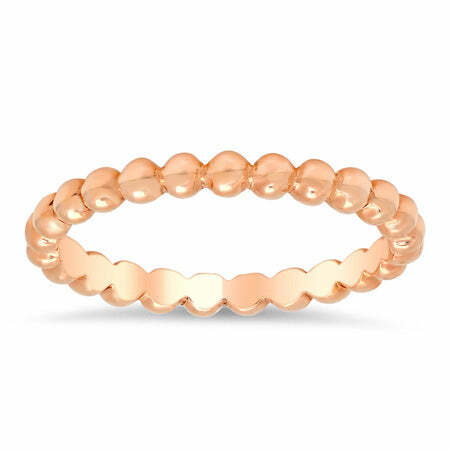 For a more bubbly look, this beaded gold ring is a lovely option. It will be made in your choice of 14 karat rose, yellow, or white gold. This dainty ring features six round brilliant cut accent diamonds that weigh approximately 0.07 cttw. The ring is an ideal addition to add subtle sparkle to your stack. 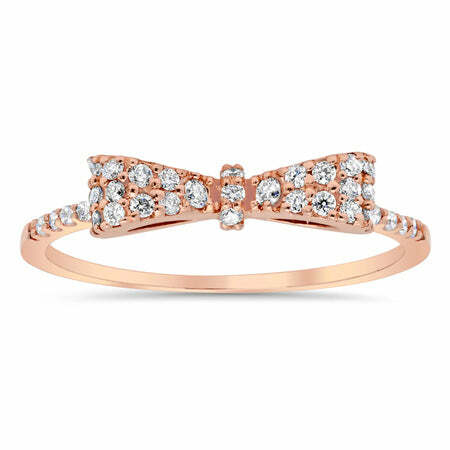 For a stackable ring that is unique, this bow ring is a great addition. The diamonds weigh approximately 0.27 cttw. This ring comes in an array of finger sizes and 14 karat gold options. A double X ring can be worn alone or added to a ring stack. This ring is approximately 18mm wide and features approximately 0.94 cttw of G-H color SI clarity diamonds. Please take a moment to look at the deBebians Instagram page to see ring stack ideas or contact a deBebians jewelry expert if you have any questions.